Seaton, Cornwall Bed and Breakfasts. Compare latest rates and Live availability for all your favourite places and places you have always wanted to go using our new My Shortlist feature. Click + to add to your Shortlist. 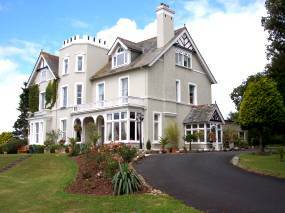 Bed and Breakfasts in Seaton, Cornwall for 1 night from Fri Apr 19, 2019 to Sat Apr 20, 2019 within 10 miles, in an Average Nightly price range of £1 to £200. Royal William Yard Apartments offer you the unique opportunity to stay and relax in one of the most desirable locations in the South West of England. br / br / br / br / Situated in the prestigious Royal William Yard our apartments in Plymouth offer excellent self-catering accommodation with free WiFi and sea/river views making it the perfect base for business or pleasure as a serviced apartment or self-catering holiday. br / br / There are 6 top quality restaurants and a bakery on your doorstep in the Royal William Yard making it a hot spot for foodies celebrating special occasions or just relaxing with great food & drink next to the Marina. br / br / Each modern Royal William Yard Apartment boasts a fully fitted kitchen with a washing machine oven and refrigerator. The living areas have flat screen TV s and dining tables. Welcome hampers are also available upon request. br / br / The historic Royal William Yard is famous for its selection of restaurants and the stunning location overlooking the Tamar River and Mount Edgcumbe. br / br / br / br / We can also arrange parking for at �10 per day. Carbeile Inn is located in Trevol Road, Torpoint and just under a mile from Torpoint's ferry port. It offers a restaurant, bar and a garden. Rooms at Carbeile Inn have bright dÃ©cor. All rooms have free WiFi, a flat-screen TV and a shower room. Some rooms have views of the nearby river. The property also has a games room and you can relax on the terrace. The restaurant is open for lunch and dinner, and there is also a Sunday carvery. HMS Raleigh is a 15-minute walk from the inn, while Antony House is just over a mile away. Mount Edgcumbe Country Park and the Rame Peninsula are approximately 4 miles away. The centre of Plymouth can be reached in 35 minutes by car and by ferry. Plymouth's ferry port, where ferries leave for France, is less than 5 miles from the inn.